Emotional Freedom Technique, otherwise known as EFT, is a simple technique designed to release emotional blocks to healing. What does that mean? The idea is that no matter what challenges we are experiencing, including chronic illness like autoimmune disease, there is always an emotional component. Long-held blocked emotions make us more vulnerable to disease, and they also make it more difficult for us to heal. In fact, in Episode 21 of this podcast, Dr. Datis Kharrazian said that if we aren't willing to address our emotions and personal demons, there's no point changing our diet, because it won't be enough. EFT is a psychological acupressure energy technique – it combines tuning into your body with meridian tapping and a verbal set-up statement. I'll be honest with you – it looks and feels a little silly at first – but it's very effective and easy to learn. 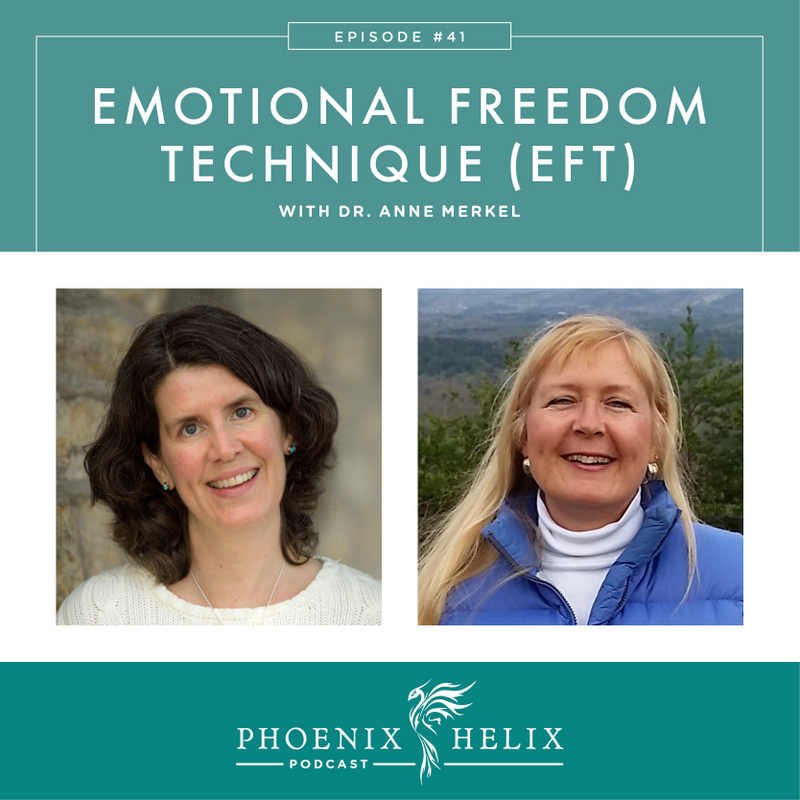 Today, we have EFT expert, Dr. Anne Merkel, on the podcast to teach us all about it. 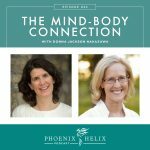 She has been practicing EFT and other forms of energy psychology for the past 25 years, and her specialty is autoimmune disease. Their meal plans are currently on sale. She's a Naturopath and Energy Medicine Practitioner, specializing in autoimmune disorders. 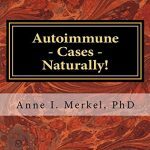 She is the author of a book of EFT case studies, called Autoimmune Cases Naturally. 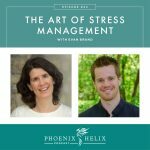 She has worked with hundreds of clients, both individually and through a free EFT group coaching series. She herself overcame chronic fatigue syndrome and fibromyalgia. At her worst, she experienced debilitating pain, fatigue and brain fog that made it impossible to work. A cracked tooth was the original catalyst, but she remained sick even after that was fixed. 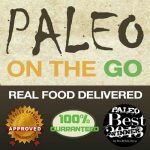 A combination of the paleo diet, a candida protocol and energy medicine eliminated all of her symptoms within two months. She didn't know about EFT at that time, but discovered it a few years later when she was looking for a technique she could do on herself without a practitioner. She credits EFT with keeping her healthy. A common unconscious emotion among Anne's clients with autoimmune disease is a feeling of unworthiness – that they don't deserve to be healthy. This can interfere with healing in the form of self-sabotage, or mysteriously not making healing progress in spite of doing everything “right” in terms of diet and lifestyle. Healing this belief and releasing this block is vital. Epigenetics is the study of the environmental triggers that turn genes on and off, and emotions are one of those triggers. Additionally, research is showing that children inherit gene changes based on their parents' and grandparents' experiences as well. EFT is a technique that can potentially clear not only your own emotional blocks, but any you might have inherited as well. EFT is a psychological acupressure energy technique – it combines tuning into your body with meridian tapping and a verbal set-up statement. Created by Gary Craig, the protocol has been simplified over the years, because he discovered a short tapping sequence was every bit as effective. Anne has created a video that outlines the classic EFT tapping points, along with a few additional ones she finds helpful, and the specific emotions associated with each point. 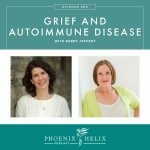 As Anne describes where the points are located, she invites the podcast listeners to tap along as she also introduces potential emotions that are common blocks for people with autoimmune disease: resentment toward our bodies, fear we'll never be well, grief over how much we've lost, the pain of the symptoms we're experiencing, anger about all of the changes we've had to make in our lives, confusion over why this is happening at all, worry about the future, guilt about the impact our illness has on our families, etc. This guided session was one broad tutorial, mentioning many potential issues, but when you practice EFT, you would choose one issue to focus on for each EFT sequence until it is released, and usually no more than a few issues per day. The body needs time to integrate the changes. The one exception is if you're working with a facilitator like Anne, and then you can often go both faster and deeper. Anne's individual sessions are typically one hour long, and she also offers retreats where she works with people twice a day. It's common to feel resistance to the second part of that sentence. Most of us struggle with accepting ourselves unconditionally, especially when we're suffering. If that's true for you, Anne has a list of self-loving statements online. You can tap the heart center for each of these statements, until you feel the resistance melt away. Some people fear stating the negative out loud – the first part of the sentence. But that's just acknowledging the truth of your current situation. It doesn't mean you are requesting that negative situation to continue. Instead, when you tap the meridian points as you say this statement, it releases the emotional charge and often the physical symptom connected to it. The overnight miracles with EFT can happen, but they usually happen through the group power of large live events, or after a long time of working on issues and finally hitting the last one that sets you free. With autoimmune disease, there are many layers, and results can be dramatic or subtle. Whenever you do EFT, you are clearing emotions, but the body decides when and what it can let go. If you have all other root causes of your autoimmune disease addressed (diet, sleep, gut infections, hormone imbalances, etc), and emotions are the only block that remains, you are more likely to see dramatic results. Alternatively, EFT makes diet and lifestyle changes easier to make, infections easier to heal, and medication work more effectively. EFT isn't a magic pill either, but it's a powerful part of a holistic healing protocol. For general information on EFT, check out The Tapping Solution by Nick Ortner – book, DVD , podcast. Anne has written a series of articles on Tapping for Autoimmune Disease. She's written a book called Autoimmune Cases Naturally. She works with people 1:1 and also offers group coaching classes. Her website, Arielagroup.com has lots more information. She also plans to begin a podcast this summer on EFT Radio about tapping for autoimmune disease. 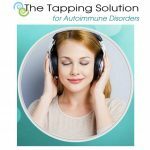 Update: In 2018, The Tapping Solution created an online course focused on autoimmune disease.